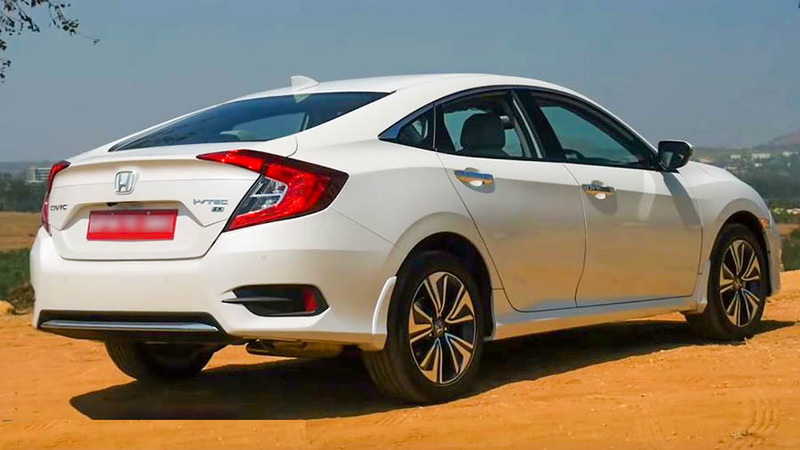 Finally, after a gap of 7 years Honda is back with the new 2019 Honda Civic and now it’s available in an all-new 10th generation Avatar. Now if this car is on your short-list, then stick around as we’ll help you pick the variant that matches your needs the best. Now before getting to the variants, let’s speak about the Engine options – there’s a 141 Bhp 1.8 Liter naturally aspirated Petrol engine and a 120 Bhp 1.6 Liter Diesel engine. The thing is, the Petrol is only available with a CVT automatic transmission whereas the diesel only gets a 6-Speed manual transmission option, so for those looking for a Petrol manual or a Diesel automatic, you’ll have to look elsewhere. What’s even worse is that the Diesel commands a premium of rupees 1.3 Lakh over the Petrol which isn’t justified. Hence, our pick of the two is the Petrol Automatic. Sure it won’t be as efficient as the diesel, but the Automatic is very convenient and adds to the car’s premium appeal. Now let’s take a look at the variants that are on offer – the Petrol is available in 3 Variants while the Diesel comes in only the two top trims. The V-CVT is the base variant but it has you covered with all the safety features that are looking for like four airbags, ABS with EBD, ESP, Hill-Start Assist, Reverse camera and Reverse sensors, among others. Even from the outside it hardly looks like a base spec, with kicked light projector headlamps and DRLs, LED tail lamps, 16-inch Diamond-cut alloys and front fog lamps. Plus you get a Bluetooth audio system with four speakers, steering controls, paddle shifters, electronic handbrake and a lot more. For a premium of 1.5 Lakh over the V-CVT is the VX-CVT. The VX is the entry level for the diesel range. In addition to the features of the V, this variant gets a multi-view reverse camera, leather upholstery, a leather wrap steering, 8-Way powered driver seat, a touchscreen with Android Auto and Apple CarPlay, dual-zone climate control, cruise control, auto dimming inside mirror and then some more. This variant has almost all the features that buyers in this segment are looking for and it’s the best priced and the most value for money variant in the range. The range-topping ZX variant sits above the VX at a premium of Rs 1.8 Lakh. It is expensive for sure but it has all the premium feel-good features that you’d want like auto LED headlamps, LED fog lamps, 17-inch alloy wheels, a sunroof, Lane watch camera, Rain sensing wipers and curtain airbags among other things. To summarize then, the V-CVT has all the basics covered rather well. The VX variant in the range has the best balance between price and premium features. The ZX on the other hand being a range topping variant has all the features, but it is the most expensive. Moving to the competition, it is the Toyota corolla Altis which has proven its reliability over the years and is backed by Toyota’s After Sales Support. Just like the Civic, it has a Petrol Automatic and a Diesel Manual, but it also has a Petrol manual option and speaking of options, the Hyundai Elantra is an extremely well priced competitive sedan and this one gets a Manual and Automatic option with both its engines, the Petrol and the Diesel. 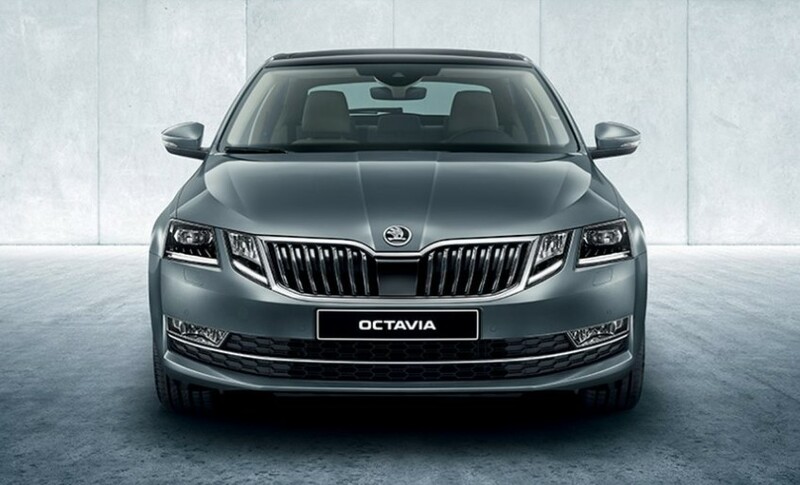 The 2019 Honda Civic’s toughest competitor is the Skoda Octavia, that’s great to Drive, is high on Premium feel and would crush any other sedan in its segment in terms of its performance. And just like the Hyundai Elantra, it gets a wide variety of Engine and Transmission options. So the game has moved on and the competition has become even stronger. 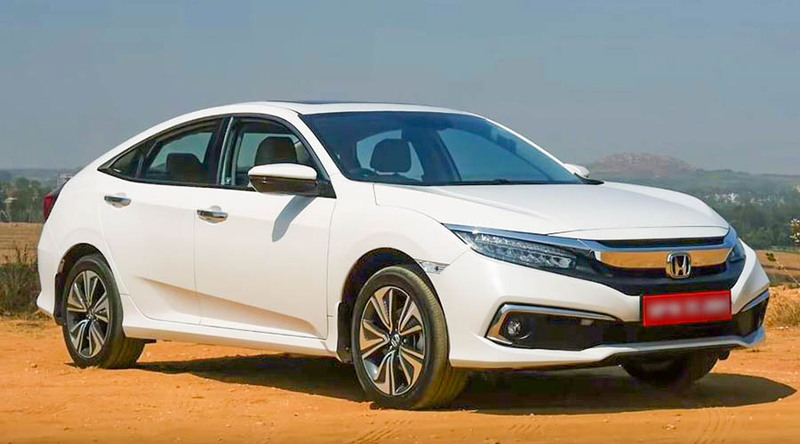 Now this new 2019 Honda Civic is a very-very appealing car, although Honda has limited buyer options by not offering a Petrol Manual and a Diesel Automatic option. And then there is its price which is rather expensive for what it offers, however for those who own the Civic in the past this new one proves to be a very worthy replacement. 2019 Kia Soul Gas Mileage Fuel Economy Test – How Well It Performs?